Am I gay? Why do I like this store so much? You guys. I was dying. Dying! Our favorite season is autumn, and we love the holidays. Who doesn't? When stores are ripe with decorations, we fall victim to their pleas to be bought. There is no telling how long we may be there. Proof: During our trip to New Orleans in May, we stumbled into a shop called Santa's Quaters in the French Quarters and walked with out a few hundred dollars poorer but with amazing finds. Let me repeat that this trip was in May. Can't help lovin' dat man of mine." hehe... Your Husband deserves a High Five for making me giggle, out loud, at my computer screen. Haha!! Gay or not... Hobby Lobby is the best! OH Mr. TBS... too funny! Seriously Hobby Lobby has some serious power! That is awesome! Glad that Mr. TBS is getting in touch with his creative side! hahahaha I can't even get my honey to come into Hobby Lobby half the time he just waits in the car. LOL! I love it! He's much better behaved than my husband at HOBLOB. He walks through all of the aisles and picks out the tackiest things and goes "Oh em gee... this is so GORGEOUS! And it's on sale!" It is so embarrassing. He is not allowed to go with me anymore. My problem with Hobby Lobby is the crafty version of "eyes too big for the stomach"- I think I'm FAR more creative when I'm in the store than I actually am when I get home! There is a shop called "The Christmas Shop" in London and it is open all year round, it's really surreal going in in July and browsing Christmas decorations and listening to "Rudolph the red nosed reindeer." My housemate is Christmas mad, she visited the Harrods Christmas shop last weekend. Loving Mr TBS's comment! Ha! Too funny! Love this post. 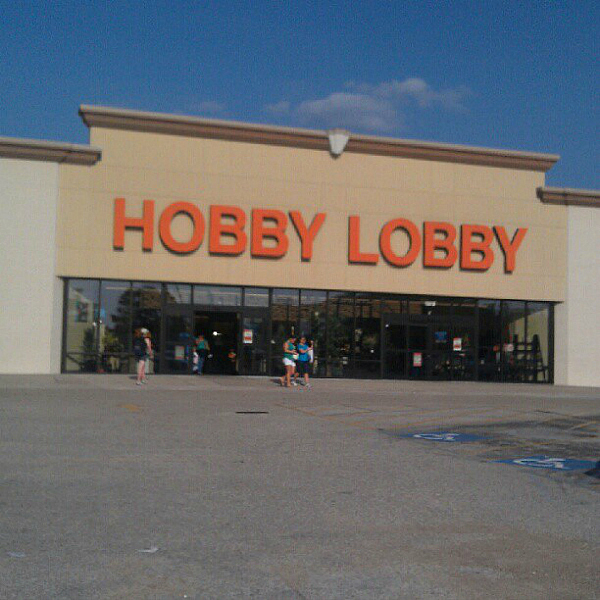 I've never been to Hobby Lobby, but really want to go one day, so I can see how it differs from Michaels or AC Moore. Too funny! My husband runs from hobby lobby at full speed! Love how you added a little bit you show business att heed there! He's not gay! My hubs has yet to go an I low he will love I when he goes too! Is Hobby Lobby better than Michael's? It sounds like it. I bet you got some goodies. Now you've got me more excited for fall! I can't wait to see what your decoration finds look like at home. Also, gotta love Mr.TBS's honesty and sense of humor.